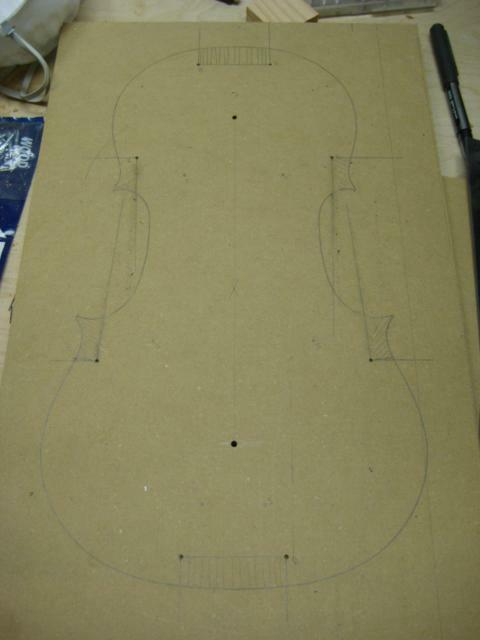 To make the mould I used locator pins (drill bits) to hold the pattern in place on the mould while I traced the outline. 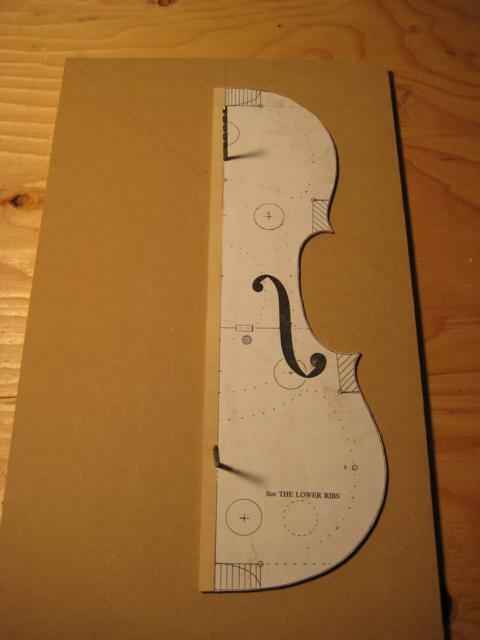 First, one side was traced, then the pattern was flipped over and the pins were used again to trace the other side to make the whole violin outline. 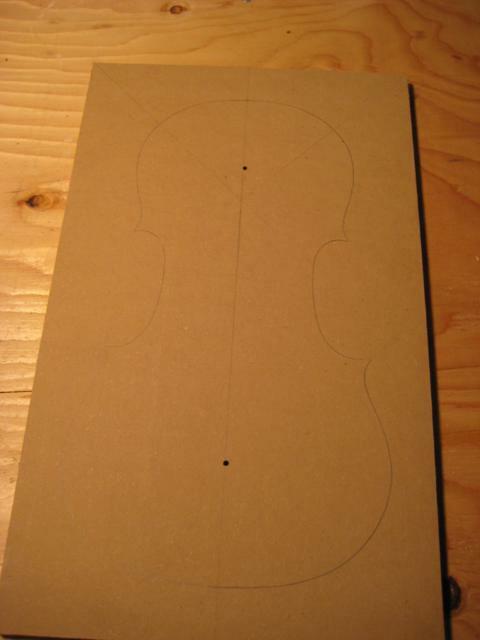 For mould material I used 1/2″ MDF which is nice and flat, but if I ever make another mould it will probably be with birch plywood or solid wood. I’m going to try and avoid MDF in the future because of the toxic chemicals used making it and the dust is very nasty. The first mould I made I used a coping saw to cut it out. Cutting MDF by hand was not very pleasant and I was not impressed with the results. I decided to make a second one, this time I took much more time and marked out all the block locations and places to drill holes. 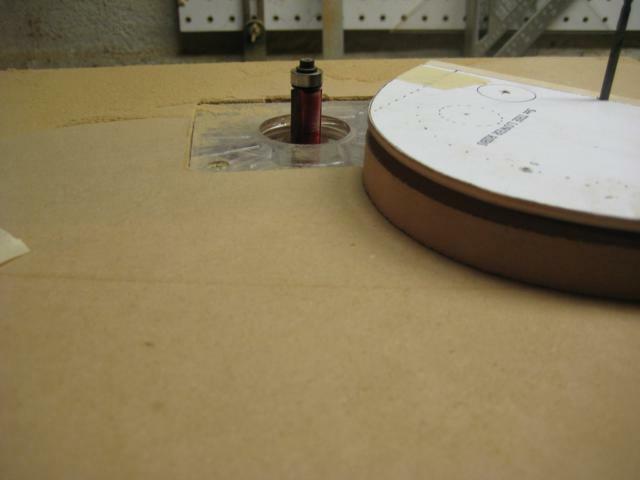 For the second mould I used a makeshift router table with a flush trim bit to cut it out. The top of the trim bit is a bearing that rests against the pattern, making sure the exact outline of the pattern is followed. I then cut out all the places where the corner blocks will go on the bandsaw. Using a fostner bit I cut out the holes for clamps. I was much happier with the result the second time. 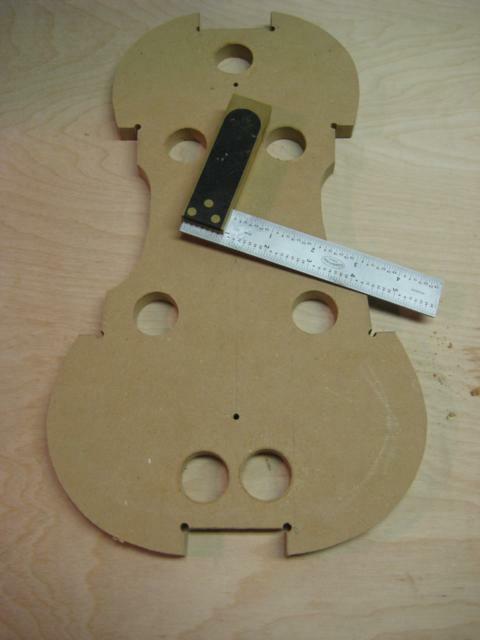 After getting all the holes cut out, I sealed the mould with polyurethane to protect it from any stray glue.